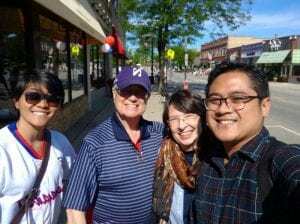 On my first ever American 4th of July, I am grateful for the opportunity to be able to connect with Lucas and Mary Helen, perhaps one of America’s loveliest couples. They had given Yoes (my colleague) and me the perfect 4th of July celebration by taking us to watch the annual Evanston parade in the afternoon and fireworks in the evening. From this experience, I would like to focus more on the parade which thrilled me the most. 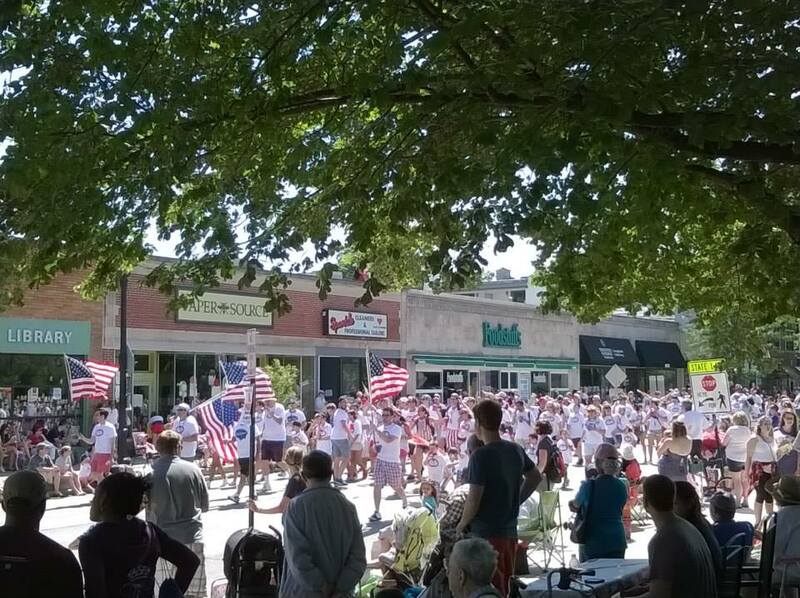 The parade I witnessed in Evanston gave me the impression of civic cooperation. That day, I learned three things from the people of Evanston: their demonstrated passion in celebrating Independence Day; creativity to show the community’s potentials and businesses; and wonderful ways to unite the community. 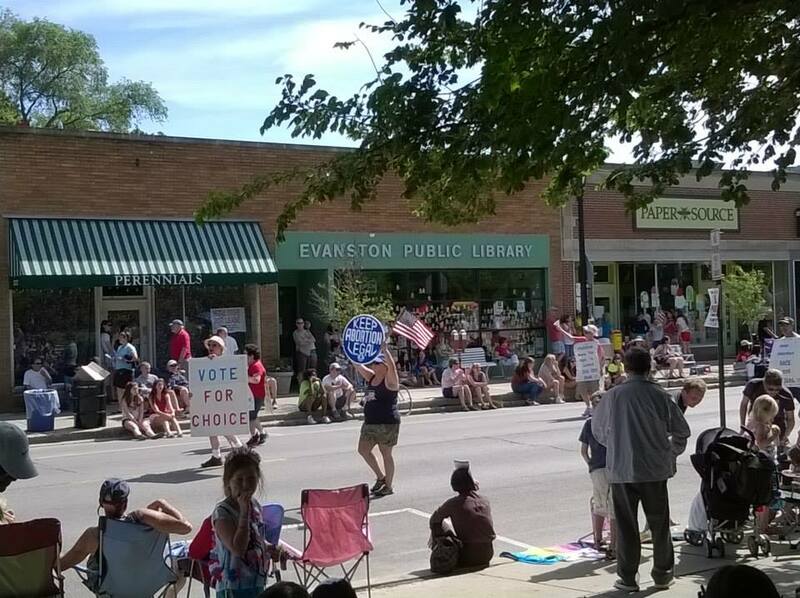 Referring to my first point, I was in awe of the amount of passion the people of Evanston demonstrated through each of the parade’s entries. They also showed the true spirit of independence. There were 110 entries and they represented the diverse groups in the community from sports, music, religious affiliations, politics, etc. Groups defending different and even opposing views all participated, yet everything ran graciously and peacefully; the audience was very appreciative of every participating entry. 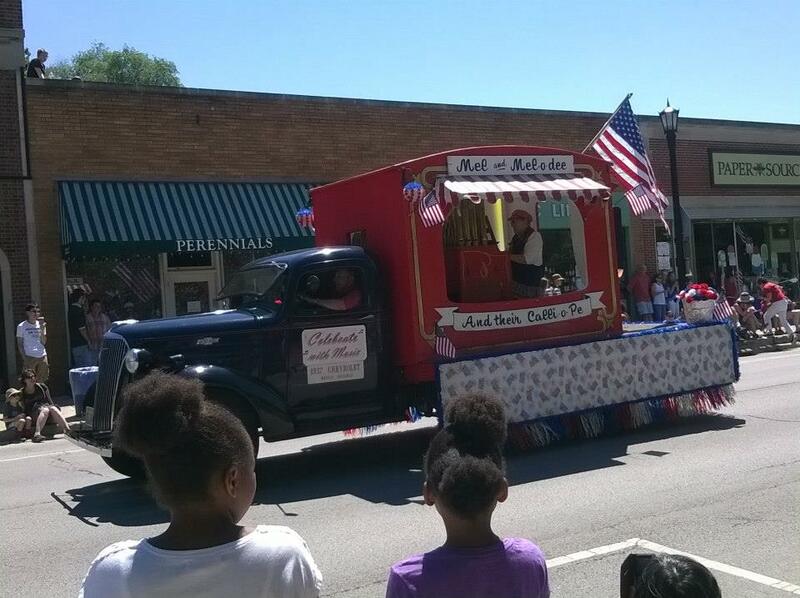 Members of the parade waved to the audience and people actually waved backed in return to support them. For my second point, I find the parade to be an effective way to showcase Evanston’s creative and business potentials. Of the 110 entries, I noticed 16 entries were musical/cultural groups, and 12 entries were small businesses. Imagine the exposure and how many prospective members and customers those groups could attract! 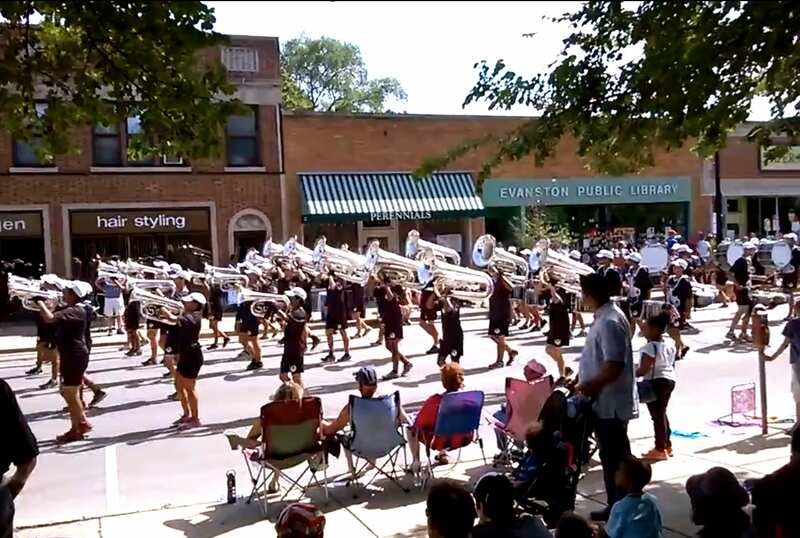 Finally, the parade was a good medium for families to spend time together and for the people of Evanston in general to bond with one another. 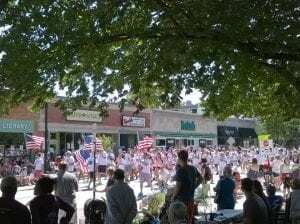 There was a sense of unity and nationalism throughout the event. The spectators were cheerful and excited to see someone they know performing in the parade or simply the public figures who had coordinated all the activities for Independence Day. 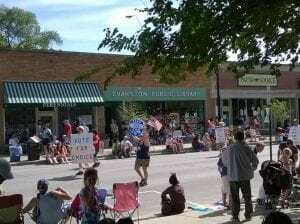 From the points above, I would like to conclude that such parade is a great example for effective community-building. Parades should be done more frequently in small communities in Jakarta. With the many advantages as the above, such a parade in smaller local communities could be an effective means in uniting and building the people of Jakarta. The “Pro-Choice Coalition” participating in the parade for a cause. 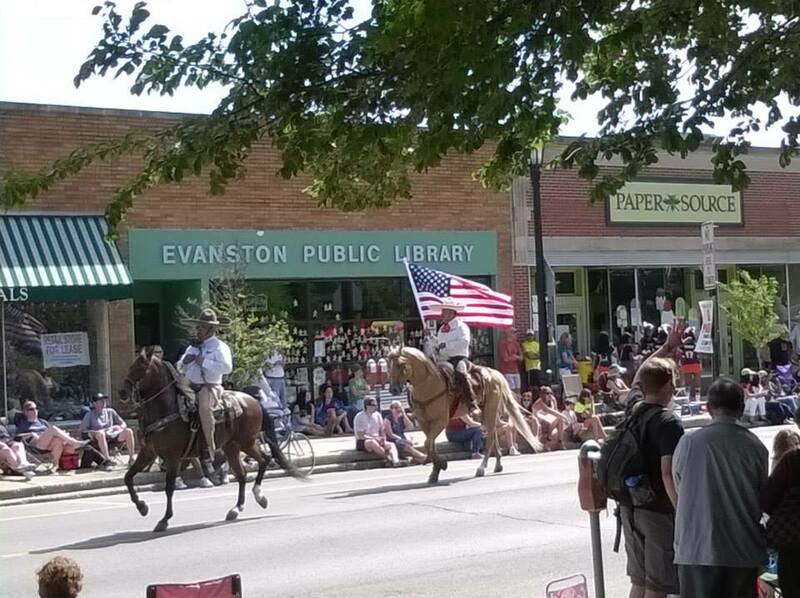 Associacion de Charros La Mesa: Entry from Evanston’s Hispanic community. 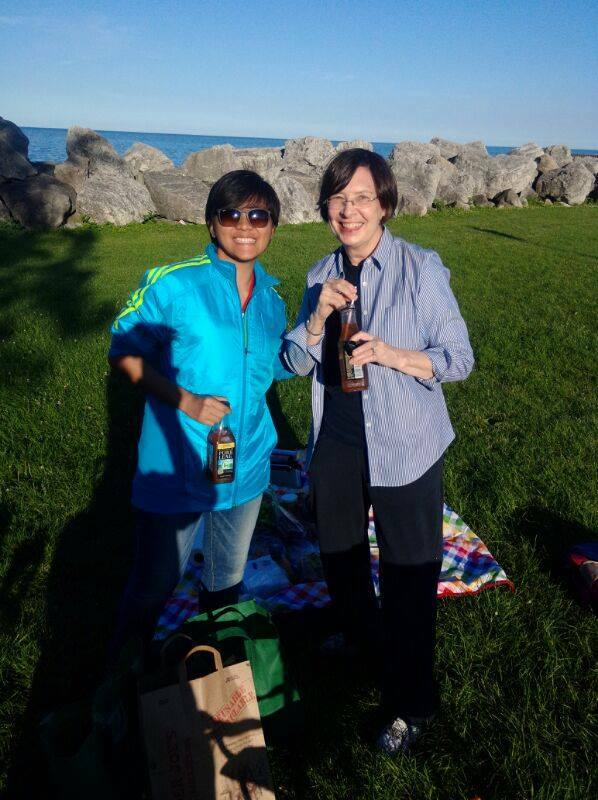 Mel and Mel-o-Dee and their Calliope: Demonstrating one of Evanstonians’ musical talents. Genesis Drum & Bugle Corps: One of the best musical performances from the parade. Waving with Pride: A sense of unity and nationalism among entries and spectators throughout the parade. 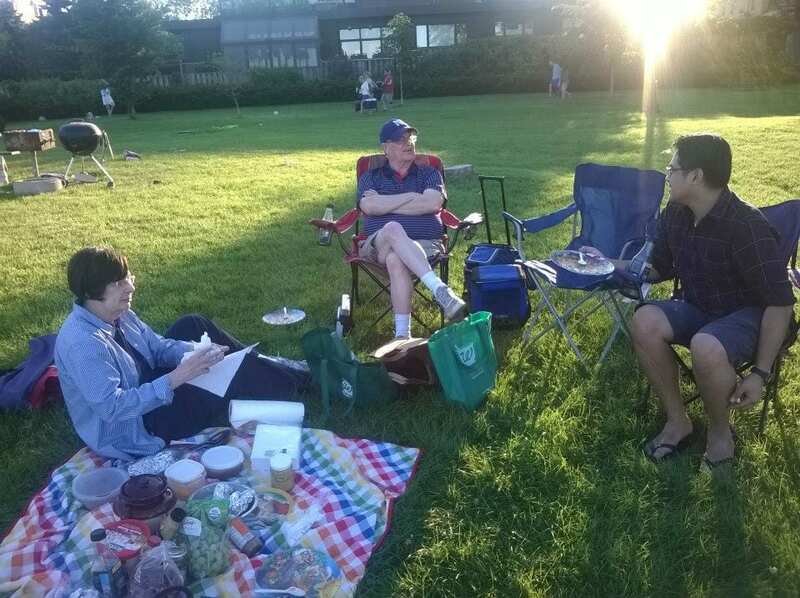 Post-Parade Picnic: Mary Helen and Lucas explaining the traditional way to have an authentic 4th of July picnic to Yoes. The weather was fine but also very windy; hence, the jacket and long sleeve shirt.